Is life worth living ? It depends upon the liver. This William James quote was one of the earliest examples of puns that I learnt in Grammar class. (I said earliest, not classiest). The liver, the person living the life, as opposed to the organ in the human body responsible for protein synthesis and detoxification, of course is us: you and me, players with defined entrances and exits on the stage of life. Which brings me to another pun, and the topic du jour. 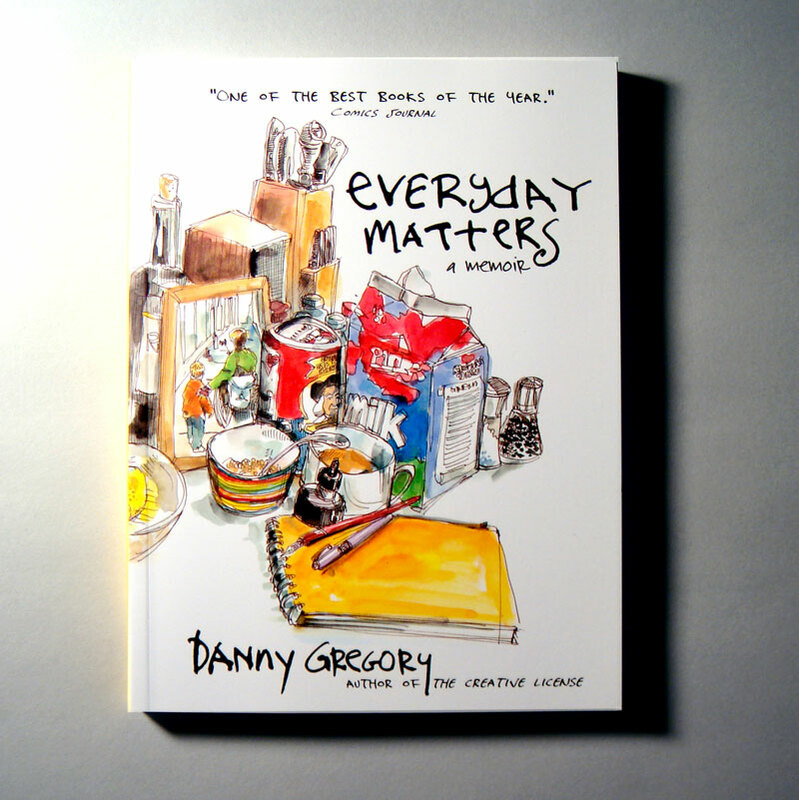 More than a clever play on quotidian words, Everyday Matters is also the title of an unusual book I read earlier this year. In parts sobering, inspiring and interesting, this book chronicles a personal tale of loss, adversity and the author’s journey to return to, and find solace in, everyday matters. Sketches by the author of everyday life in New York City lend the book an intimate touch, and leave an indelible mark as you close the pages of this short, bittersweet narrative. Everyday matters are those that make up the bulk of our life. So much of our time is spent doing things that are reflective of our stage in life and the concomitant responsibilities they bring. As children, we go to school and do our homework, not necessarily because we believe those to be the most fun things, but because that is what we are told children do. And as parents, we make our kids do their everyday tasks, and then layer on our own patina of activities and things that we have to -not what we want- to do. Hence we find ourselves often harried, frequently tired and more often than not wishing we had just an extra hour or two in the day so we could actually do things we enjoy. The beauty of a pun is of course in the double entendre, even if without any accompanying innuendo. Instead of worrying about everyday matters, we should perhaps remind ourselves that every..day.. matters! For better or for worse, today is the card we have been dealt with. Yesterday is history, tomorrow is but a dream. You may argue that if all everyone cared about was today, we would be a society of myopic and hedonistic citizens, treating each day as GroundHog day, a chance to live the same day over and over again. There would be no value in forbearance, no reward for patience, no prize for preparation and simply no motivation, even opportunity, for innovation. That would be true if the maxim were to be followed literally. Instead, the lessons of yesterday can be conjoined with the dreams of tomorrow. It is ok to learn from the past – just do not dwell upon it. And by all means, dream big, dream grand. But let not the weight of yesterday or the daydreams of tomorrow distract from the beauty and joy of today.